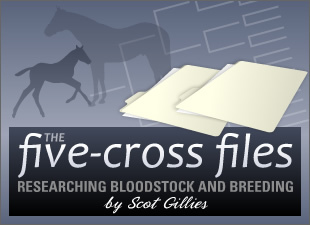 From Fox Tale Stud, we got the news Thursday afternoon that Request for Parole (SRO, TrueNicks) will stand the Southern Hemisphere breeding season at Estacion de Monta Don Petiso in Buenos Aires, Argentina. 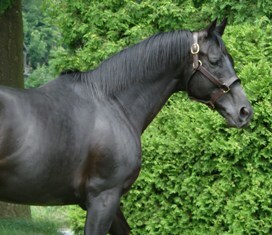 Fox Tale pointed out that the son of Judge T C will be the first Pennsylvania stallion to shuttle south. Since he's one of my favorites, I'm thrilled that Request for Parole will see increased opportunity. I'm also pleased that Fox Tale has indicated he's still a Pennsylvania stallion. There's been some confusion about whether Request for Parole was sold to Argentina or if he's just going to be a shuttler. Let's clear that up: I confirmed with Fox Tale that he's officially shuttling, meaning he'll be back north in time for the 2009 breeding season. An In Reality-line stallion... whose broodmare sire is Deputy Minister... and whose sire's damsire is Secretariat... and who won from six to 11 furlongs while racing 51 times from 2 to 8... he's got a lot to offer. Folks, it's no wonder they requested him in South America. Congratulations to Fox Tale (and reserve me a season in 2009! ).